Build Zimbabwe Alliance (BZA) leader and presidential aspirant, Dr Noah Manyika is mulling approaching the Electoral Court and the Zimbabwe Electoral Commission (ZEC) over the defacing of his campaign posters, which he allege is being done by Zanu-PF members. Recently, Manyika’s posters in Chegutu and Gweru were pulled down and replaced by Zanu-PF candidates’ material, a matter which is before the police. According to the Electoral Act, tearing down of political party posters is a criminal offence which can lead to a two year imprisonment if convicted. “In the past weeks, our posters have been torn up or pasted over mainly with ED’s (President Emmerson Mnangagwa) posters. A video taken last night shows Zanu-PF workers brazenly doing that in Chegutu. “It is our full intention to take this up with ZEC and to pursue all the legal options open to us. Ultimately, none of this will change until we have an electoral body which is fully independent and a way to enforce compliance with the law by all political parties. 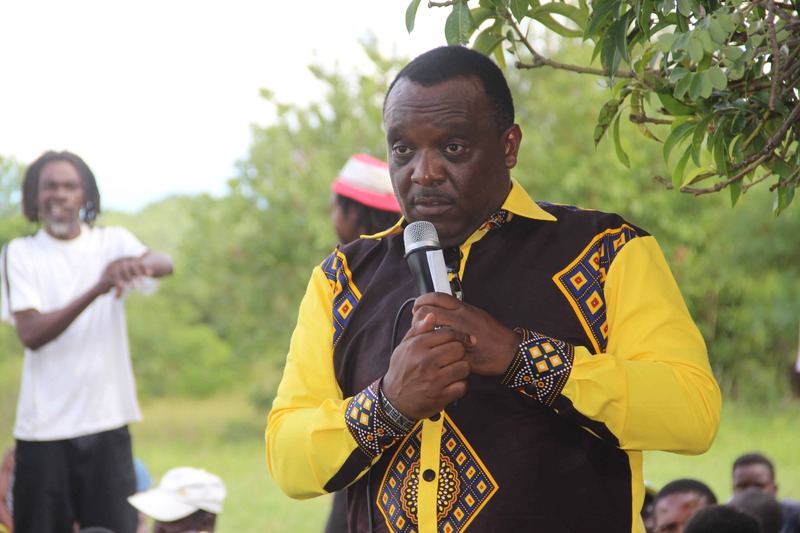 All Zimbabweans must make their voices heard to make this happen,” said Manyika. Recently, two Harare residents were arrested for allegedly tearing Zanu PF campaign posters. According to Section 152 of the Electoral Act, destruction of political posters is an offence. “(1) Subject to subsection (2), from the date on which an election is called until its result is declared, no person shall deface or remove any billboard, placard or poster published, posted or displayed by a political party or a candidate contesting the election. “(b) the owner or occupier of the land or premises on which it is published, posted or displayed in contravention of section one hundred and fifty-three. “(3) Any person who contravenes subsection (1) shall be guilty of an offence and liable to a fine not exceeding level ten or to imprisonment for a period not exceeding two years or to both such fine and such imprisonment. A recent survey by 263Chat revealed that most opposition parties’ campaign posters have been torn down and replaced by those of Zanu-P candidates.